I really enjoyed this novel. I thought it was very strong and there was some unusual elements structurally. Quite a melancholy end but you were not really aware it was going to end in such a way by reading. Hamilton is thought of as a ‘minor’ writer and I am not sure why – the story and characters were really very powerful and not dated at all. Very impressed. I will definitely be reading more. By far the best English writer I have read for a long time. Absolutely amazing strange stories. I haven’t read these since I was a child and I can’t believe how absurd they are and how well they have held up to the passing of time. These really are proto-surrealist works -never mind Ducasse. The language can be a little old fasioned but that adds to it for the modern reader. 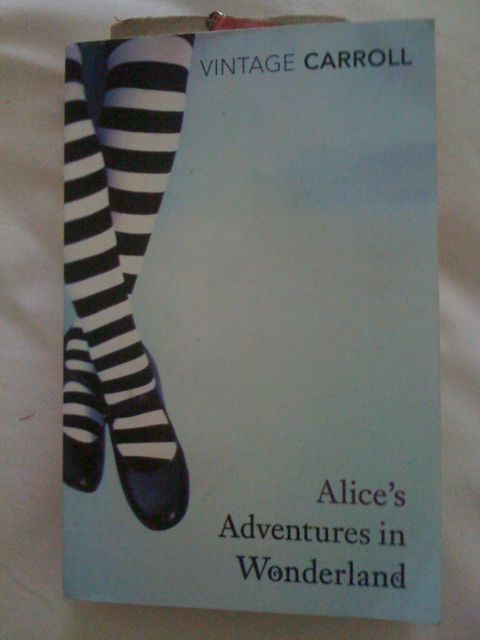 As I read the book I kept imagining Svankmeyer’s movie Alice which was even more strange. This film in mind seemed to bring the novel alive even more. Wonderland is the most odd I think because there is no real purpose and it just floats from one improbable scene to another – and I like it best. Looking Glass however has plenty riddles but perhaps more of a legislated silliness. Both are definitely worth reading again and again. These stories renew your faith in the human imagination. By Bohumil Hrabal AND JG Ballard. Hrabal’s short novel is a masterpiece. It is a roving collection of anecdotes told by an old cobbler linked together without a pause. So many ideas and images and definitely something you can re-read. 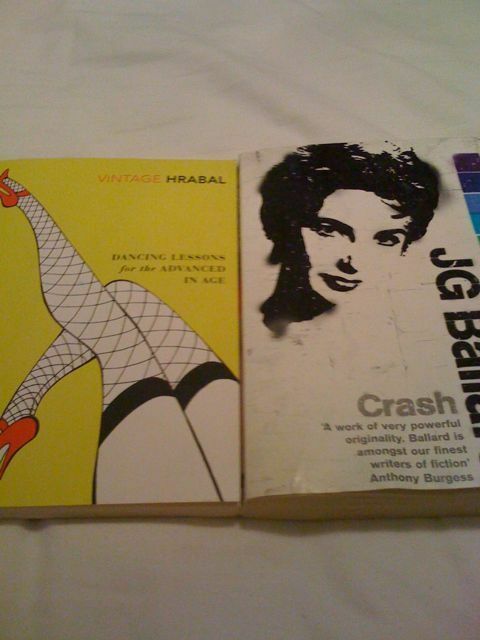 It is very different from his other works but it is still Hrabal. I really think he is an imporant writer. Less said about the novel the better – just read and enjoy. Crash Is a different story. One idea and the jury is out as to whether it is a ‘good’ idea. Seeing cars in a sexual context – who would have thought? Don’t bother reading. The prose made me cringe every ten seconds: it seemed as though (over)written by a thirteen year old and I am doing the thirteen year old a disservice. Martin Amis described Crash as very flawed and as a result just ‘vicious whimsy’. Thankfully my current read has removed the boredom this book caused and the world and its prose are a better place. By Russell Brand and Madge Darby respectively. I chose to review both of these together because they both involve London but are also very different. Neither of them are very important or life-changing but each is entertaining in its own way. 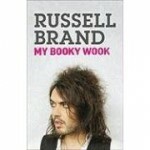 ‘Booky Wook’ is good – I think Brand writes very well and has a creative turn of phrase. He is a modern dandy or at least that is what he’s aiming for. It was an entertaining read and even if a quarter of what he describes is true he has had an eventful life. Many hilarious anecdotes but also some er… disturbing ones. I hope he writes about football for the Guardian on Saturday this year because his columns were excellent – mixing football with surreal flights of fancy which is I think what he does best. 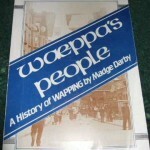 Waeppa’s people is basically a history of Wapping, where I live. It is a bit dry for the first half of the book but the pictures make up for it a little. In the 17th, 18th, 19th and 20th centuries though you feel Darby’s focus snap into place. This is the era she is really interested and I must admit – so am I. What is really interesting is how successive councils never listen to the wishes of the local people. Even this century they basically do whatever they wish and whoever has the most money wins the day. There are little victories however, but the battle of Wapping (not just the News International dispute) was lost over the years to the men with the money. I was astounded at how they tore down St Katherines to make way for the dock and even silly things like street names with historical significance are replaced by names of benefactors which have none. Darby’s opinion can be seen in the later chapters of the book and for the most part she canvasses it well. Soundtrack: The National – All the Wine. I decided to re-read this book because I am going to Trieste shortly, which is where Svevo lived most of his life. I couldn’t remember much about the story possibly because there are not many major plot movements to stick in the memory. Events happen to Zeno and the other characters but there is much navel gazing along the way coutesy of Zeno. 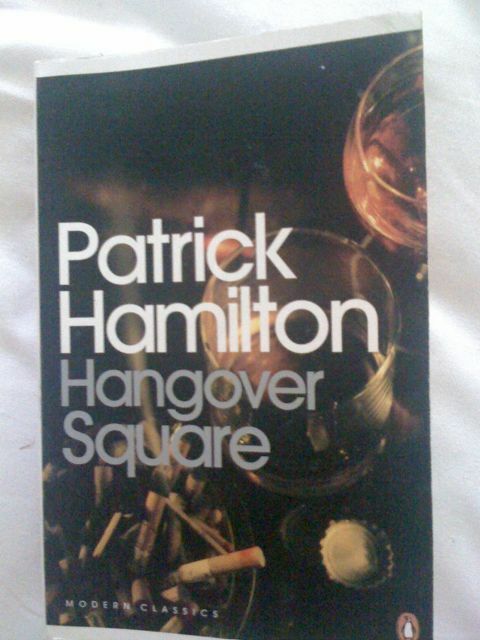 It took me a while to work out that the irritation I felt with the novel was completely by design. Near the end you suddenly understand. I’m not going to spoil it but I will link to this Wikipedia article about Zeno’s namesake. Svevo is a masterful ironist and by the novels end all the irritation has dissipated. 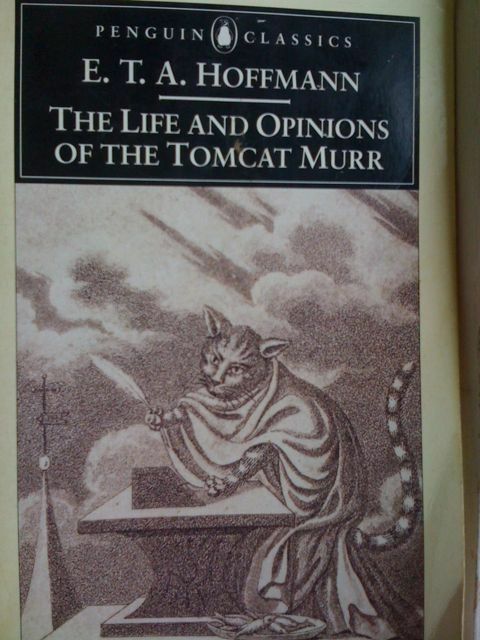 The control and design with which he wrote the novel must have been the culmination of a lifetime of thought (this was his last major work of three with the other two written twenty years earlier). Someone once told me that Svevo is a man’s writer in the same way that de Beauvoir is a woman’s. I’m not sure I agree but I can see their point – both are concerned with their male and female view of the world. Zeno’s Conscience is not for everyone but it is an important book and both interesting and entertaining. Soundtrack: Nick Cave and the Bad Seeds – The Mercy Seat.